These universal sets are recommended for electronic engineers, computer technicians, and hobbyists. 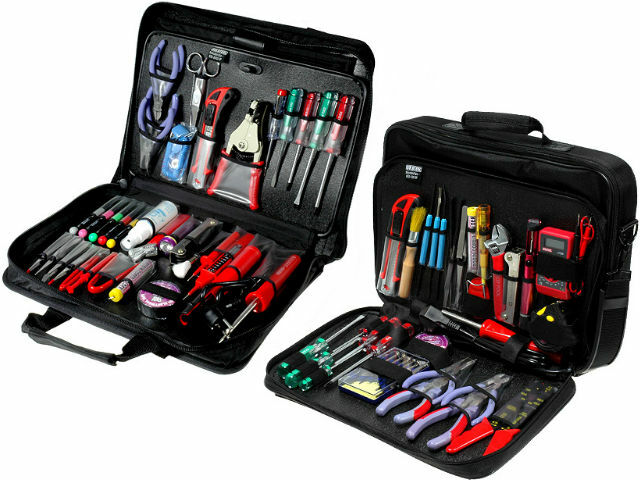 They include all the tools commonly used for servicing electronic devices. The bags the toolsets come in are equipped with a handle and strap for carrying on your shoulder, which improves the comfort of use.